One of the great things in Seville is that it’s flat and its Sevici cycle lanes are surprisingly extensive. These lanes are not only used for cycling but also for running, for skateboarding, for wheelchair users, for luggage pullers and … rollerbladers. 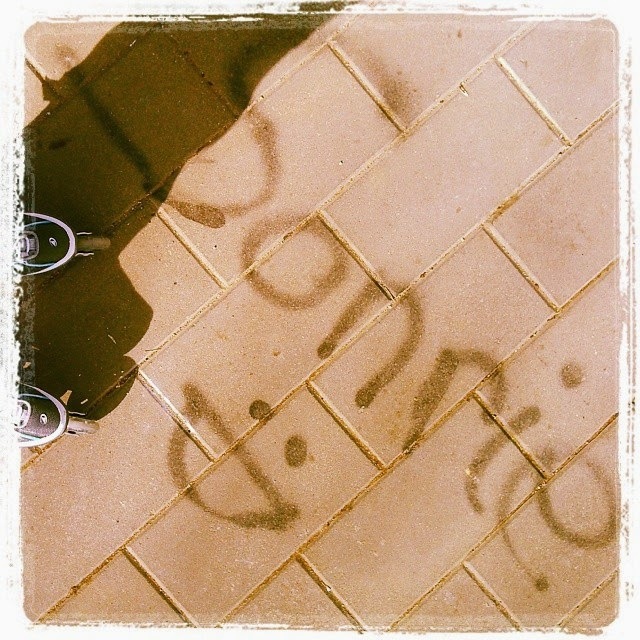 I had always wanted to learn how to rollerblade and when I got my job in the language school it was decided: I’m going to sign up to a club. 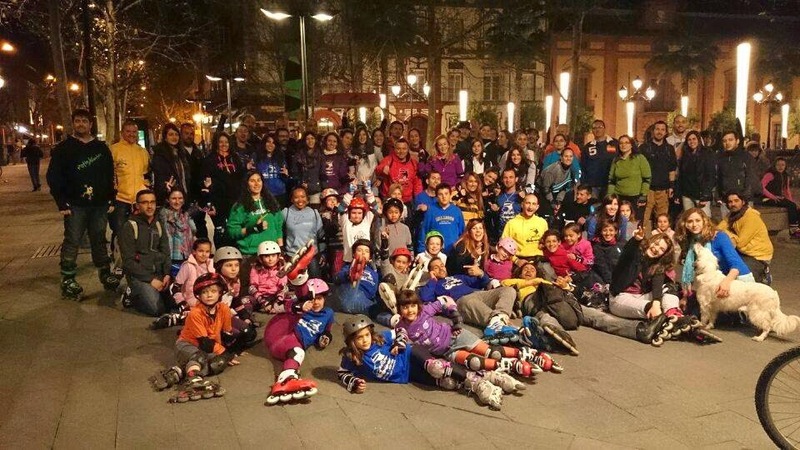 The classes were held in a park where there was a special flat concrete area for the rollerbladers (pista de patinaje). This is where we met every Friday at 18.30. There were many classes for many different age groups, many of them are kids who were already masters at rollerblading. Interestingly, in the beginner group there were many ladies around my age, mostly mothers of the children in the kids’ classes who wanted to enjoy the sport with their offspring. We were doing our warm up circles slowly and carefully with trembling legs, holding onto each other, eyeing every little bump on the ground as a potential cause for a fall while the kids were whizzing around us chasing each other, doing amazing tricks and just generally behaving like they were born to do this. So unfair! It always made me smile when the instructors shouted 'Watch out for the adults!' after the children. Somehow the roles were reversed here. It was a very interesting experience as my Spanish was quite basic at that time however my instructor, Javier, was very patient and repeated everything about a hundred times for me. Also, rollerblading is a physical sport, so when all the words failed, he simply used his body to demonstrate what he wanted to teach. After a few months of falling on by backside many times but slowly getting better at controlling myself I decided to try the ultimate challenge, the Ruta de Iniciacion, or the Initiation Route. All the girls in my group had been whispering about it and those of us who actually tried it were treated as superheroes. It is basically a two hour long rollerblade through the streets of Seville, using the cycle lanes. It sounded terrifying, very tiring but definitely something absolutely AWESOME! After the class I got into the car with two other girls, Carmen and Merche, and drove into town. We met up with the others in the centre at Puerta de Jerez at ten in the evening and when everybody got ready, we hit the town. I was still a beginner so all the way through I was holding my instructors’ hand (well, ‘clinging to it with my dear life’ would be a better description), thankfully avoiding any fall. It was an indescribable feeling to whizz through Plaza Espana at night with 50 other people, making tourists jump and stopping the traffic while all of us flew through the zebra crossings. It was a kind of sightseeing tour as we sped over bridges, through parks and along the river. We waved to the groups as we passed them and the waiters at the restaurants stuck their hands out to get 50 hi5s in a row. I glided along with them, swept up in the experience but trying to stay balanced. We had a break half way at a bar (getting a drink on your rollerblades is quite a challenge!) and got back to Puerta de Jerez around midnight. All the Spanish kids were still going strong while I was already yawning and wishing for my bed. While walking slowly home on the Avenida de la Constitucion I thought that this was one of the best things that happened to me in Spain.